The 13th of May 2017 marks the 300th birthday of Maria Theresa (1717 – 1780), she was an Austrian archduchess and Holy Roman Empress of the Habsburg Dynasty. She was also mother to Marie Antoinette, future Queen of France. Rulers throughout history have always showcased their status and wealth through an array of luxurious personal belongings, many of which have stood the test of time and have evolved into items we still hold in high regard today. One of these being, Chandeliers. 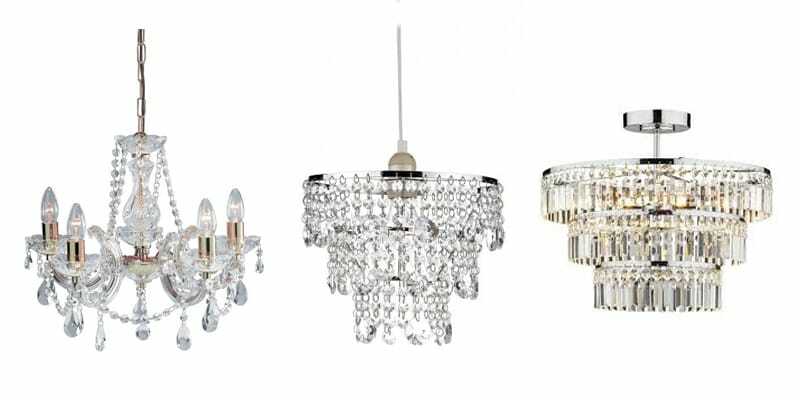 Although not being directly named after her our range of crystal chandeliers aptly named “Marie Therese” come in various sizes and in metalwork finishing of gold brass and polished chrome. We’ve no doubt these would have been held in high regard by the lady herself! 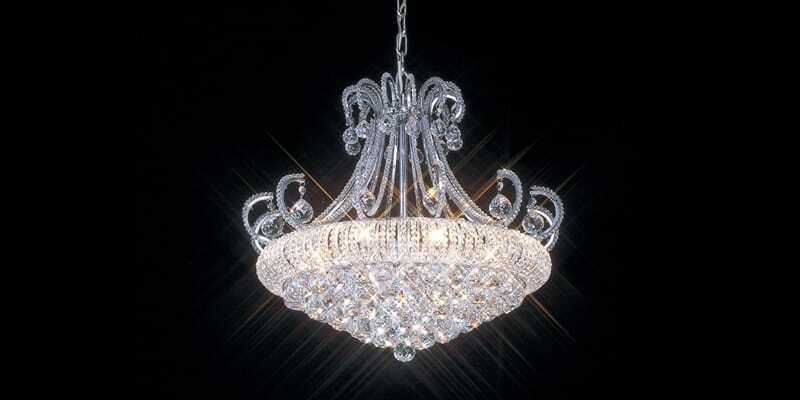 Richly decorated in crystal they’re sure to add traditional glamour to any room. 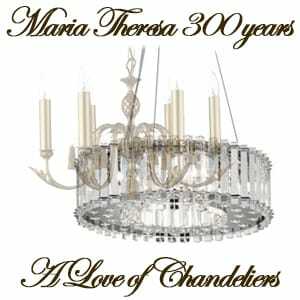 During the time of Maria Theresa’s life throughout the 1700’s we saw the beginning of our love affair with Chandeliers. Even the word itself evokes class and luxury, it originates from the French word “chandelle” meaning candle holder. This is why traditional chandeliers feature candelabra styles with candle drips and candle bulbs. The earliest styles of chandeliers were made out of wood dating back to the 14th century, although popular our real fixation on them came during the time when we began to use metals to create them – with this it allowed for the far more intricate detailing and designs we know and love today. Chandeliers remain a statement piece to this day, although over time the materials used and design has kept up with the times. Bare candles (or at least their aesthetics) are not always the source of the light, some are finished with shades and others the light source is hidden behind frosted glass or within the structure itself. One thing that remains the same however is that the designs are often made with the “wow” factor in mind, glitz and glamour is a sure fire way of achieving this which is why we see today’s chandeliers showing off decorative crystals, glass structures and polished chrome metalwork to ensure maximum light reflection and sparkle. There’s no doubt that had the technology and materials been accessible during the lifetime and reign of Maria Theresa that she would have insisted on these dazzling pieces. Feature lighting such as this often earns it’s place above the dining room table, in long drop stairwells or entrance halls. It’s also common thought that chandeliers are for grand properties and simply do not have a place in the modern home, this is not the case. Whether it be down to room space or budget there’s a chandelier or even “chandelier effect” available for everyone. If you’re fortunate to have a large space for something a little more “grand” then fittings such as the apt Marie Therese, Excelsior and Escala may be considered. Click the image below to see these and more. 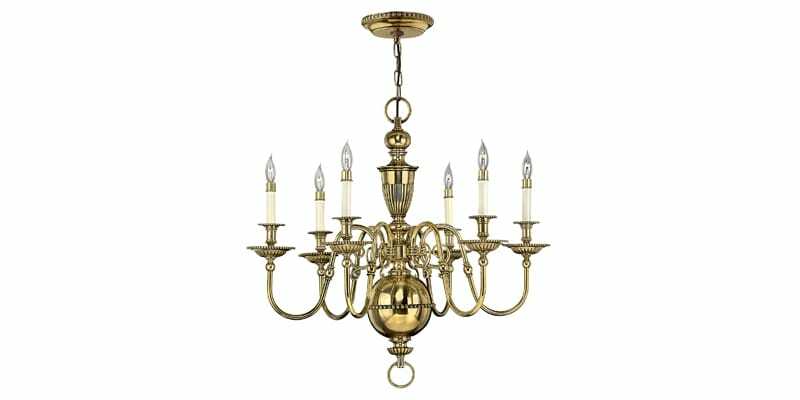 To show there’s something for everyone the previously mentioned Marie Therese chandelier also comes in a smaller scale 5 light (shown below), all the class simply condensed into a smaller factor fitting. Many of us will have a room with a simple pendant suspension within it, probably holding a shade that’s been there longer than we can remember. 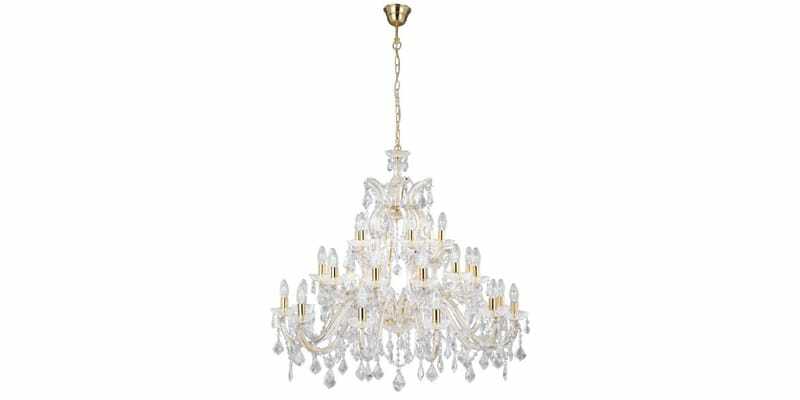 The “effect” of a chandelier can be brought in here with a crystal droplet tiered shade, namely the Cybil (shown below). You don’t need a large property or a large budget to think about chandeliers to add that touch of luxury. There are even options for those with low ceilings! A chandelier does not always require a long drop, don’t leave out those reachable ceilings. Click the image below to view these products and more. 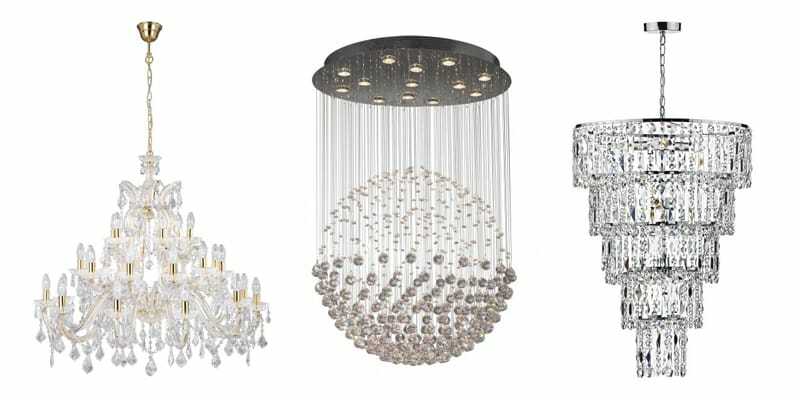 Our love of chandeliers is ever growing and we’re sure to see their continued evolution with new designs and materials. We hope you feel inspired and encouraged having seen the availability of chandeliers and don’t rule them out in your next renovation. ← Previous Previous post: Star Wars Day – May the 4th be with you!